I finally tested one of those beauty hacks on Pinterest to see if it really works….and it does — I’m able to get voluminous, bouncy curls in just 5 minutes flat! That says a lot coming from this gal who is half Brazilian blessed with long, thick hair! Typically, it takes me 20-30 minutes to curl my hair. Plus one aching neck and two tired arms! 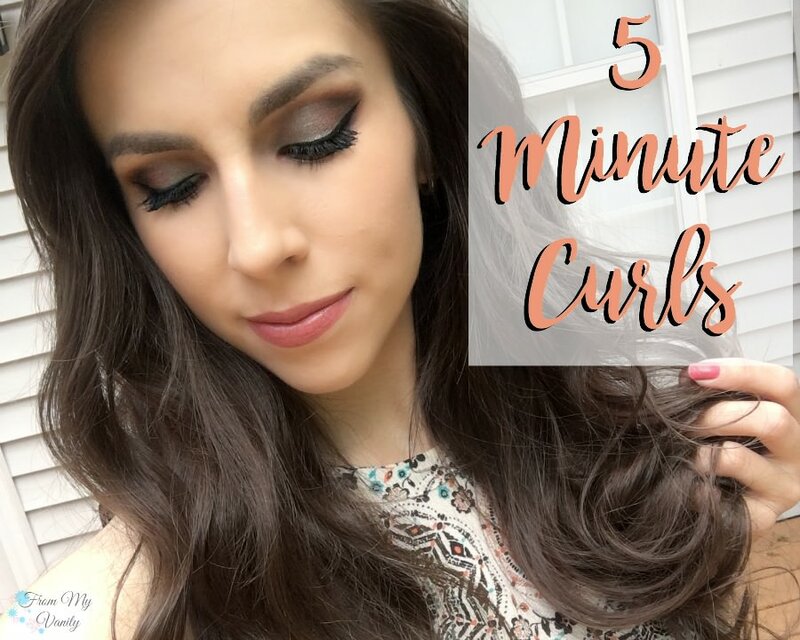 😉 So, if you’re curious what hack I’m talking about, just keep reading to see how to get these 5 minute curls! Sign Up for Monthly Beauty News! If you recall two weeks ago I shared with you that I wanted to give my hair a subtle color change without going to a salon (this new Mama can’t fit that in!). 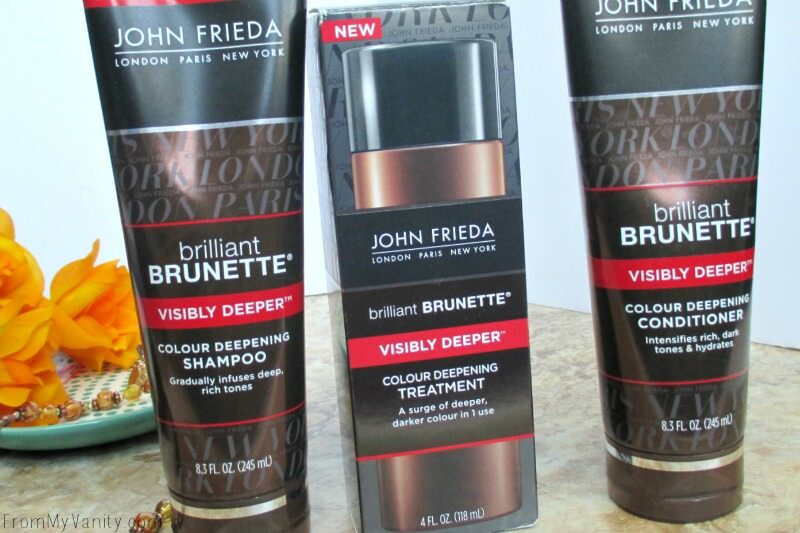 I used all three of these John Frieda products — the Brilliant Brunette® Visibly Deeper™ Colour Deepening Shampoo, Brilliant Brunette® Visibly Deeper™ Colour Deepening Conditioner, and Brilliant Brunette® Visibly Deeper™ Colour Deepening Treatment — and I am very pleased with my results! Step 2 // Using the brush, sweep all your hair upwards toward the top of your head. 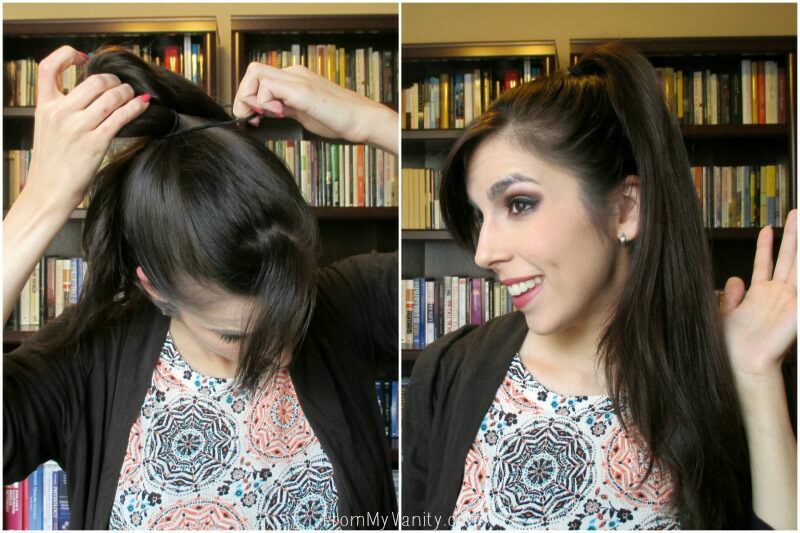 Step 4 // The height of your ponytail depends on the type of curls you want. The higher up on your head, the tighter the curl will be by your face. The farther back on your head, the more relaxed your curls will look. Step 5 // Curl! I life using a clipless curling wand, but whatever is your preference. I took about one inch sections of hair, but you could take smaller for a tighter curl, or more chunks for a more loose, wavy look. Step 6 // Doing all my hair took just over 5 minutes. To be exact, 5 minutes and 21 seconds — but it’s still 5 minutes, haha. And keep in mind that I have long, thick hair. If your hair is shorter/thinner or you want to take larger sections, it may take even less time. Step 8 // Run your fingers through your hair to relax and mesh all your curls for a more natural finish. And you’re done – 5 minute curls….check! I would love to hear if you can tell a difference between the color of my hair in this post, and Pinterest. It might be hard to detect in pictures, but I definitely can tell it’s deeper in person! Oh, also, don’t forget to let me know if you would ever try this type of at-home, in-shower treatment to deepen or lighten the color of your hair. 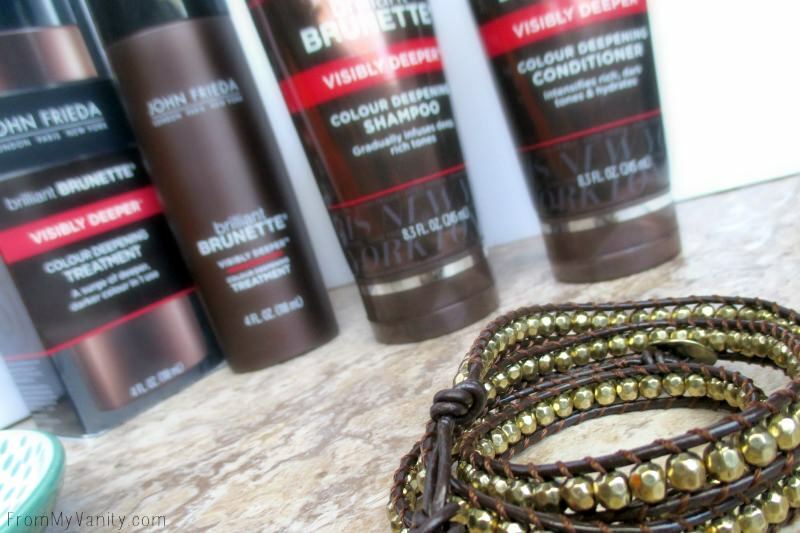 I love the ease and convenience these John Frieda products give me! Loved the tutorial? Pin it! This post has been compensated by Collective Bias, Inc. and its advertiser. Thank you so much for helping to support From My Vanity through subscribing, reading, and clicking! All opinions expressed in this post are 100% mine. Any questions about my disclosure, read here. Just gorgeous! You and your hair look beautiful! This is something I can do! 🙂 Gorgeous hair! It makes the whole curling process SO much easier! “5 minutes” is my favorite phrase. Your hair looks so nice and polished, and it took such a short amount of time! I’ve been looking at getting one of the Amika curling wands, so I’d love to try something on days when I’m feeling fancy. Also, your makeup looks great here, too! Love your curls, you look fabulous! LOL…..My 5 minute curls would be a disaster. You make it look like tying your shoes! It’s a lot easier than it looks! I remember seeing this hack months ago and was just like “no, that can’t be easier and still turn out looking like you spent 30 minutes on your bombshell curls”…but it honestly really does! 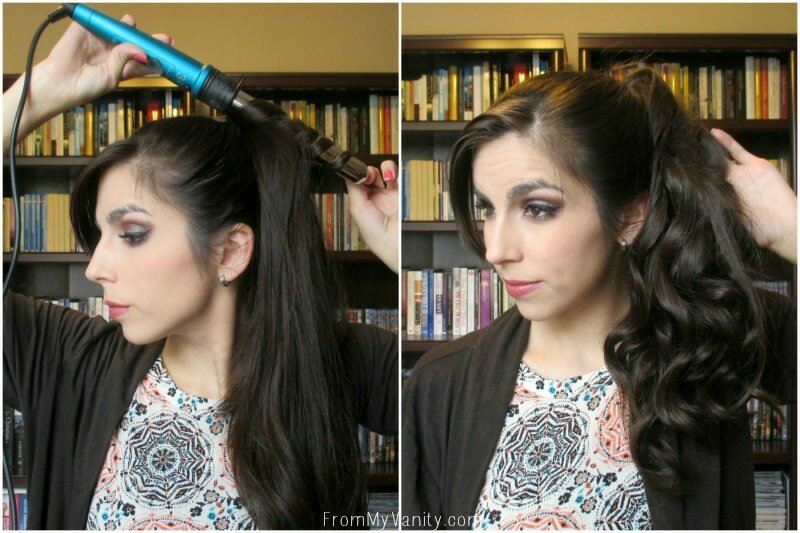 This is one of my favorite ways to curl my hair! It’s super fast and it gives it a really effortless look! I wish I had tried this hack out a LOT sooner — it saves so much time! I never would have thought that would actually work but it turned out gorgeous! I never think about ponytailing then curling. I’ll have to try that. Those curls! I have hair envy here. 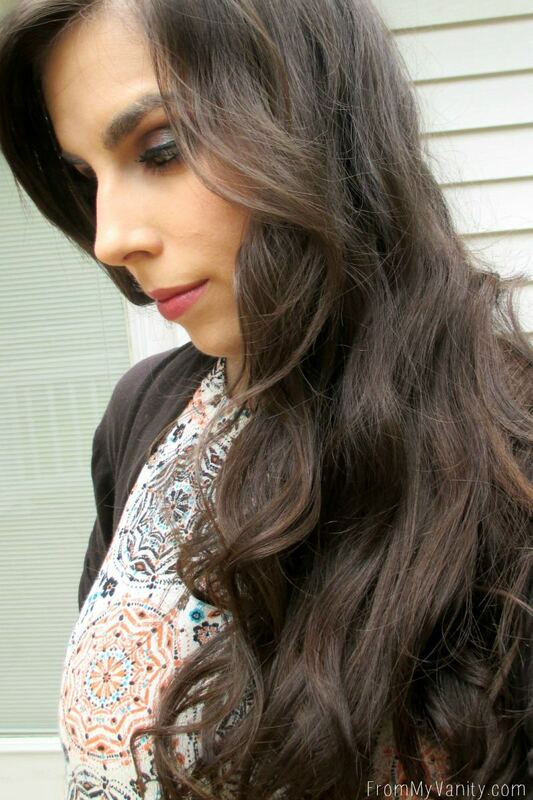 I’ve got a new Babyliss curling iron that I’m dying to try out; will follow the ponytail technique. Hope it turns out well for you! This was honestly my first time trying this hack — I wanted to take pictures for the tutorial the first going around to see if it really was easier and quicker,and to show that there isn’t really a learning curve. Its just easy! my five minute curls usually end in cursing and tears. Love this!!!!! I just wish I could get curls to hold this well on me!!!! Any tips for super thin, fine hair? I honestly don’t have super fine hair, but one product I love to use to help keep the curl is sea salt spray. It’s not sticky! But it adheres to your hair/curls and helps ‘stick’ them in place and lasts for several hours. Just don’t brush your fingers through your hair much afterwards, as you’ll just brush the sea salt spray out and your curls will start to drop. How did I not think of this before?! I seriously need to try this. I had seen it before, but honestly wrote it off as one of those Pinterest hacks that would be a flop if I tried it out. Glad I tested that theory and I was proved wrong! Katie- I just sent you a photo on Instagram with my curl hack. You and I have VERY similar hair, so check it out! Wrote a note with it. Hope you got it! Aww, thank you Nicole, for this sweet comment. It’s always encouraging to hear how you find my blog. 🙂 I’m glad you’ve been enjoying the content! 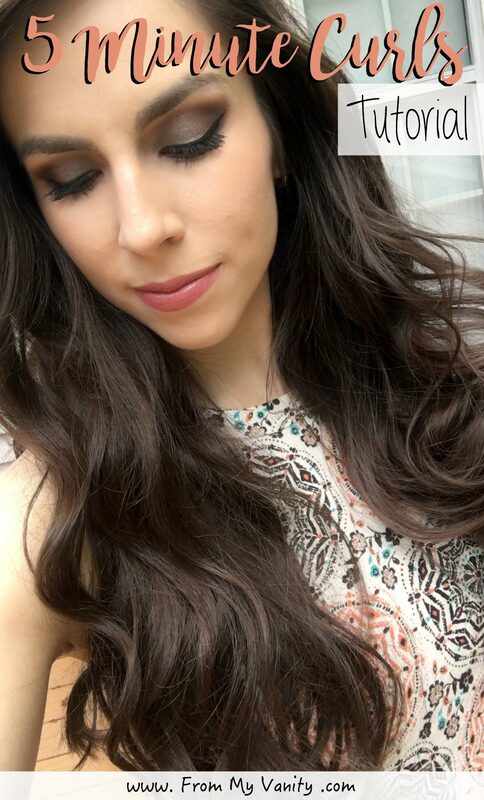 Gorgeous hair! And you can definitely see a difference in the color. Looks more vibrant! Thanks! Yes, I really enjoyed the results while using it. Might have to go get another bottle — I love how rich the color was! What kind of curling wand do you use?